Looking for an Executry Lawyer? If you live or commute anywhere in the UK we have a trusted, professional Family Law Firm close to you, they can give advice on a Living Trust, Will Writing, Power of Attorney, Guardianship Orders, Tax Inheritance or Estate Planning, we can help take away any Stress you may be feeling. OTHER LAW FIRMS AND WILL WRITING COMPANIES HAVE MADE WILL WRITING AND POWER OF ATTORNEY SO COMPLICATED; NOT US! 2 DIAL THE LOCAL NUMBER ON THAT PAGE AND SPEAK DIRECT TO A POA/WILL WRITING SPECIALIST. 3 GIVE US A FEW DETAILS OVER THE PHONE. 4 WE WILL ADVISE YOU THERE AND THEN. We are UK specialists and help people all around the UK in England, Scotland, Wales, and Northern Ireland. Your location does not matter, as our work will be conducted over the telephone, email, Skype, standard mail, home visits and meetings(IF REQUIRED) in one of our many OFFICES or MEETING ROOMS in the UK. “Our whole family would like to take this opportunity to thank you personally for all your help steering us through the process of finalising mum’s estate. Finding a local law firm in Manchester who have been diligent and patient has been an absolute pleasure”. We are a network of UK based family law firms who specialise in all things related to power of attorney. We are absolutely passionate about power of attorney we feel everyone should have the power to make decisions that will protect them, their family, children and grandchildren and indeed any other benefactors should they ever lose the capacity to make decisions for themselves. Power of attorney – who needs it? When it comes to power of attorney we feel everyone should have this in place. Every year in the UK thousands of people lose capacity – it could be an accident, a stroke or head injury, a progressive illness such as dementia. The only way to plan correctly for the future is to appoint someone with Power of Attorney. Power of attorney is about everything you will need while you are still living. It is about making decisions, some as small getting someone to – pay bills and manage your everyday welfare. You really need to start thinking about who you want to make decisions for you if ill health or an accident would mean you can’t make these decisions for yourself. In Scotland the law allows any person to appoint another person to take decisions on their behalf, by granting a deed commonly known as a Power of Attorney. As these can sometimes be very sensitive issues our network of family lawyers are here to offer advice, support and guide you as stress-free as possible. We advise on things such as who should you appoint and how much power should you give them. 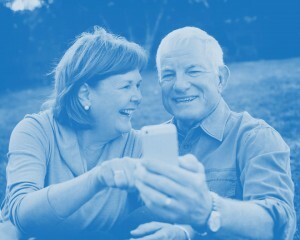 Remember spouses, partners, civil partners or any other family members do not have the automatic right to make any decisions for you, no matter how simple or complicated it is now common practice for financial institutions or health providers to ask for proof which a power of attorney will give you. So don’t delay and appoint someone you can trust to take decisions about your finances and welfare if you become incapable of making those decisions for yourself while alive. Power of attorney – what happens if I don’t have one? If you don’t appoint a power of attorney and you do lose the capacity to make decisions for yourself family members may have to seek a Court Order, this can be expensive and added stress that they could do without. Your appointed person does not need to be a relative, it can be someone you trust and who you know is reliable and is aware of your wishes and feelings. To help you we have made things really simple, simply enter your town/city in the search boxes above or below and call your local office using the local number provided or fill out a contact form on that page we are here to help and guide you through what will almost certainly be a really tough time.